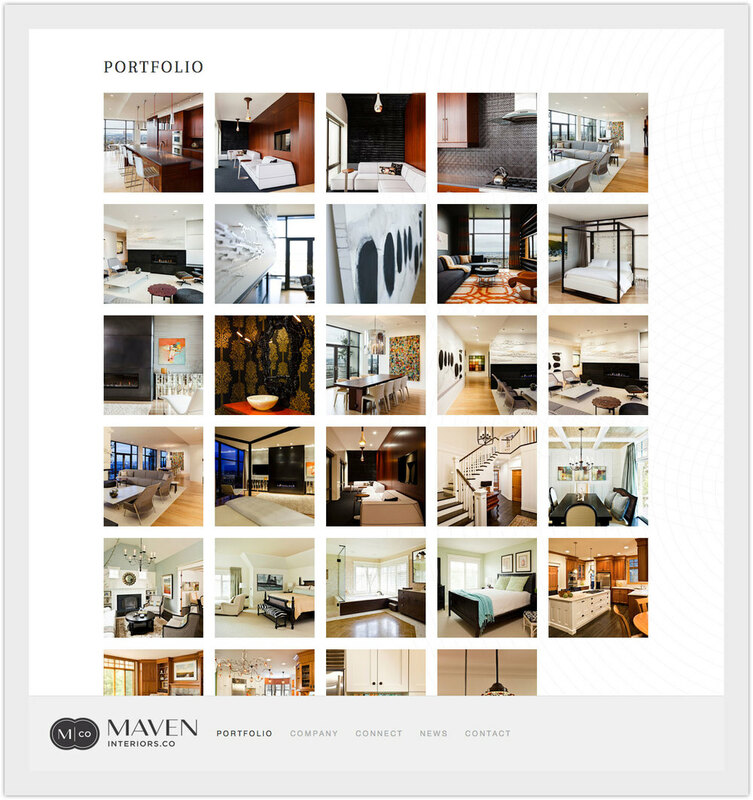 Maven Interiors - Website — Relevant Studios | A Branding, Packaging & Website Design Company | Portland Ore.
After establishing the brand, we helped create a sophisticated portfolio website to represent the interior designer's modern work. Its always nice to work with an artisan who does great work. We just came up with the framework and let her portfolio do the talking.